Professional Fee Insurance is now a major issue since HM Revenue & Customs have previously had to give a good reason for starting an Enquiry into businesses and individuals tax affairs. 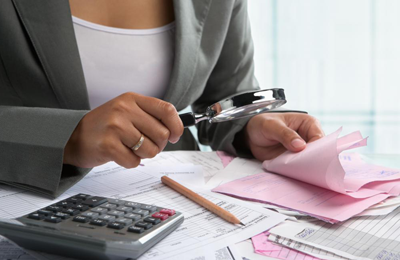 By ensuring that the Accounts and other information we have submitted to HM Revenue & Customs on behalf of our clients has always been of the highest quality, we have kept investigations in our office to a minimum. However, with Self Assessment, we are now seeing an increase in random investigations, a policy of starting investigations without having to give any reason for the selection and an increase in the number of “investigation trained” Revenue staff. We are therefore of the opinion that it is to your advantage to consider arranging insurance to cover the professional fees which can result from an investigation. A typical straight-forward investigation can take up to six months to complete and average fees incurred can range from £1,000 to £3,000. This is usually regardless of the size, nature or complexity of the business. Due to our good record in dealing with investigations, we have been able to negotiate extremely advantageous rates on behalf of our clients with Croner taxwise. The advantage of joining our scheme is not only that it is substantially cheaper than the amount you would have to pay for a stand-alone scheme on your own but, in the event of a claim, we will be able to deal with this for you, ensuring that notification is made at the right time to the right people. The Policy we have negotiated extends beyond cover for professional fees in respect of investigations by HM Revenue & Customs. It also covers professional fees in respect of VAT, PAYE, P11D and National Insurance investigations. Brief details of the cover and the main exclusions are noted in the accompanying leaflet. Many of our clients have in the past also asked for our advice and guidance on non-financial matters and this has influenced our decision to choose the Croner taxwise scheme. You will not be charged any additional fees for the telephone advice available from Croner taxwise specialists and we hope you will be able to use this facility to your best advantage. The cost of this scheme is obviously of importance to you and the premiums will range between £25 and £90 plus vat per annum depending on the type and size of your business. If your business is small, is not VAT registered and does not have a payroll the cost of the insurance will be a modest £30 plus vat per annum. If you are in business as sole trader or partnership and you are VAT registered and\or have a payroll the cost will be £40 plus vat per annum for sole traders and £65 plus vat for partnerships. If your business is a company then the premium will be £90 plus vat with these fees including investigations into both the Company’s and the Directors personal affairs. If you are interested or have any queries concerning this scheme, please do not hesitate to contact Wendy or Martin.